...how do you do it without the risk of being accused of; bias, prejudice or favouritism? Simply set the percentage of Search or Pass results you want on these clever randomiser units and the Random Search Selector technology will do the rest. Each time the Search/Pass button is pressed, the clever internal randomisor algorithm will calculate and display a Search or Pass result. 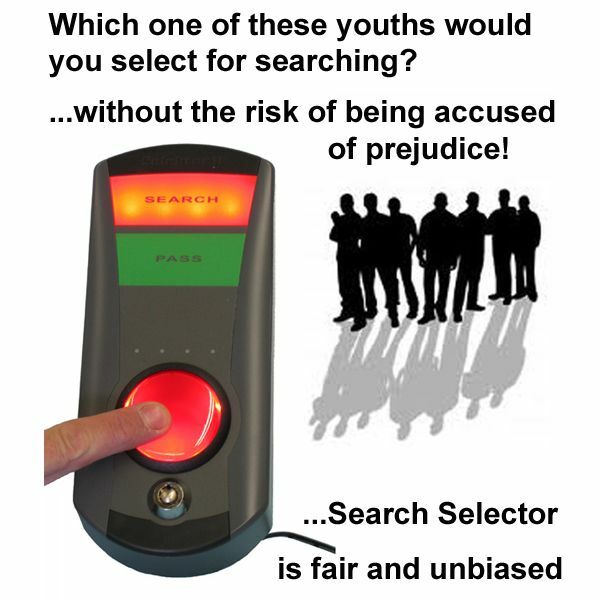 Whilst over a period, the results will reflect the percentage Search result you set, the result from each individual button press is totally unpredictable, so there is absolutely no chance of you being accused of prejudice in your selection - or of picking on individuals! 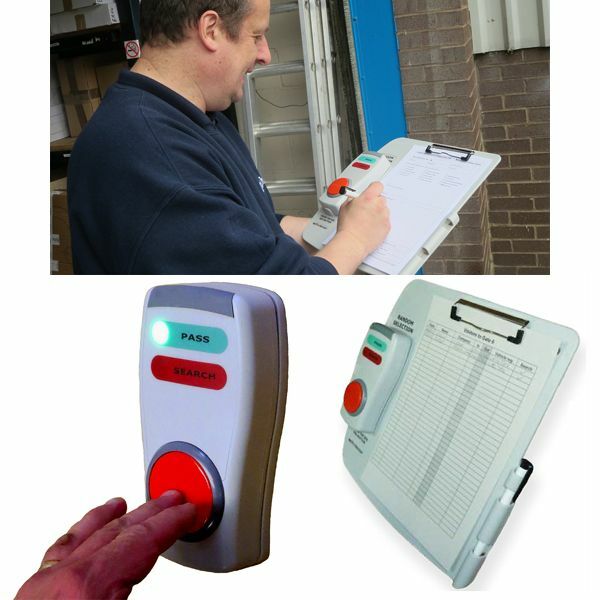 Many Retailers use the Search Selector at the staff exit of their premises as a way of fairly but randomly selecting staff members for searching prior to leaving. This eliminates the need to delay staff by searching everyone, but has helped many companies to significantly reduce stock loss through staff pilferage. It is also great for reducing stock loss at warehouses, selecting vehicles from a fleet for special checks, choosing an individual delivery (inbound or outbound) for special attention or conformance to manifest, etc. 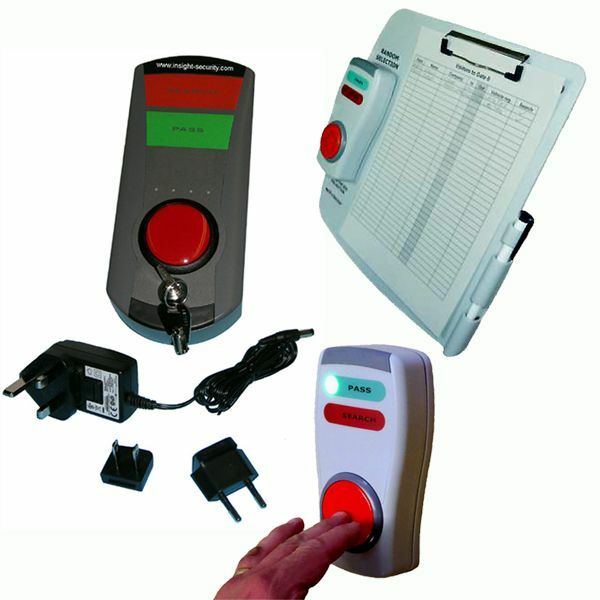 The range of Random Search Selectors include mains and battery powered units as well as a special clipboard mounted unit as favoured by vehicle inspectors, goods inward managers, etc?